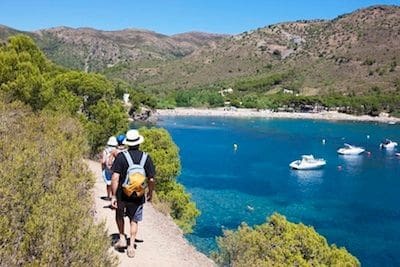 The municipality of Roses is one of the most unique towns on the Costa Brava and offers a multitude of activities and cultural visits for the whole family. 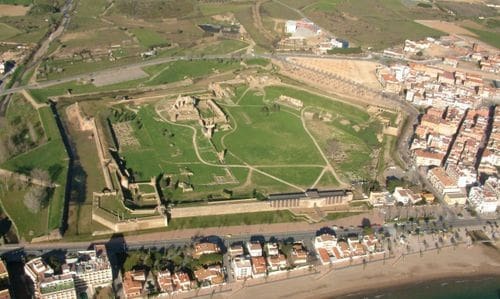 Is the walled enclosure that formerly protected the city of Roses, founded as a Greek colony with the name of Rode in the Gulf of Roses (the northeastern end of the Spanish coast). In spite of the phonetic similarity, the identification of that name with the one of the Greek island of Rhodes is not demonstrated, nor the condition of rhodiums of the Greeks who founded this colony. Neither the time of its foundation, that the literary sources place in the VIII century b.c. while the archaeological sources link with the nearby Emporion (Ampurias) not before the fifth century BC. Also the cult of Artemis associates both colonies. This crown the point that closes the interior bay of the Gulf of Roses (province of Gerona, Catalonia, Spain). Located at the tip of the Poncella, on the lighthouse, about 60 meters above sea level. The toponym comes from a hermitage built in 1508, which was destroyed, along with a defense tower that was erected in the area, when the castle was built. 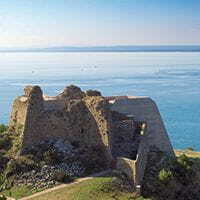 The Emperor Charles I had it built before the construction of the Citadel of Roses. The works began on January 2, 1544 and were completed in mid-1551. The author of the project was the General Captain of Artillery Luis Pizaño. It is a water park with bars, restaurants and many attractions, such as an artificial river and a children's area. Ideal to spend a day with the family. Adults and children have a great time. A large variety of coves border this part of the Catalan coast. Among the most outstanding, is the Cala Montjoi, where you will find a Holiday Village specially designed for families with children and a restaurant - chiringuito to enjoy some spectacular rice dishes and tapas.